Quill.com, a subsidiary of Staples Inc., is an online business and medical product marketplace for small and medium sized businesses. Delivering an expansive assortment of products like technology, cleaning & breakroom supplies, business furniture, medical supplies, safety products and general office supplies, its singular focus is on meeting the needs of its customers. The e-commerce company has been steadily increasing brand awareness in the education community in recent years, and wanted to make a big impact during the 2016-2017 back-to-school season. Providing busy professionals with every office product they need for more than 60 years, Quill.com wanted to increase positive brand awareness in the education community and drive more traffic to its e-commerce site to expand educator usage of its products. However, like any company today wanting to engage with teachers, Quill.com was faced with the challenge of cutting through the noise that educators deal with every day as well as ensuring that the information they were sharing supports teachers in the classroom. To develop a campaign to achieve these goals, Quill.com turned to MDR as their education engagement partner. Together they designed a digital media campaign showcasing some of Quill.com’s most popular products to increase positive brand awareness, engage educators, and create referral traffic to their e-commerce site. MDR leveraged its WeAreTeachers online community with more than 2 million members to develop a multi-channel campaign for Quill.com. MDR used the WeAreTeachers Facebook page as a platform to poll its community on their favorite back-to-school “must-haves.” The top products were then featured in an article, 21 Classroom Essentials for Back to School, that was accompanied with a bulletin board contest hosted on WeAreTeachers.com. A second article highlighted high interest products for teachers’ lounges, drawing in tens of thousands of readers. Links to products were integrated throughout the article and it was promoted via email and posts across WeAreTeachers social media channels. 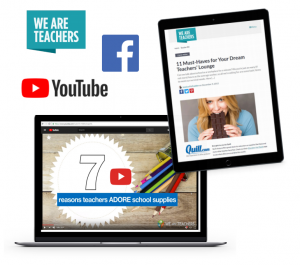 In addition, recognizing that video is currently one of the biggest drivers of website traffic on Facebook, MDR created short slide show videos targeted to teachers on topics, such as “7 Reasons Teachers Adore School Supplies,” that were shared on social media and on the WeAreTeachers website. 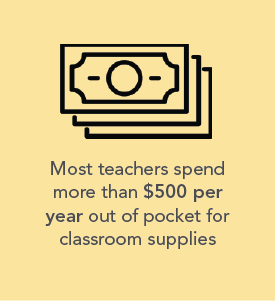 Quill.com knows how much all teachers do for their students, and how quickly supplies run out, so they wanted to find a small way to help. By partnering with WeAreTeachers, they threw a surprise “teacher shower” for one deserving educator. Think baby shower for a new teacher. 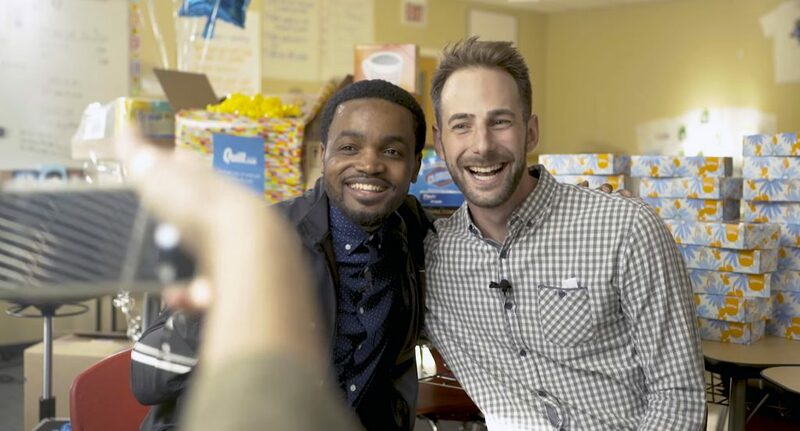 The shower was designed to give new fifth-grade teacher at Chicago’s LEARN Charter School, Dwayne Reed, a head start on supplies for his classroom. On the day of Reed’s surprise, a WeAreTeachers.com video crew said that it was at his school to interview him about urban education. Then WeAreTeachers.com and Quill.com staff started to come into his classroom with box-after-box of supplies. Reed was selected for the shower because of his commitment to his students and the ways that he exemplifies new teachers around the country. This targeted and teacher-friendly strategy garnered big results for Quill.com. “This campaign allowed us to quickly accelerate teacher awareness of Quill.com and build goodwill with the education community,” said Jamie Bajgert, marketing manager, Quill.com. MDR is a full-service school and community engagement partner. A division of Dun & Bradstreet, MDR is a different kind of integrated marketing services agency that combines rich data with unique digital, creative, and branding capabilities. 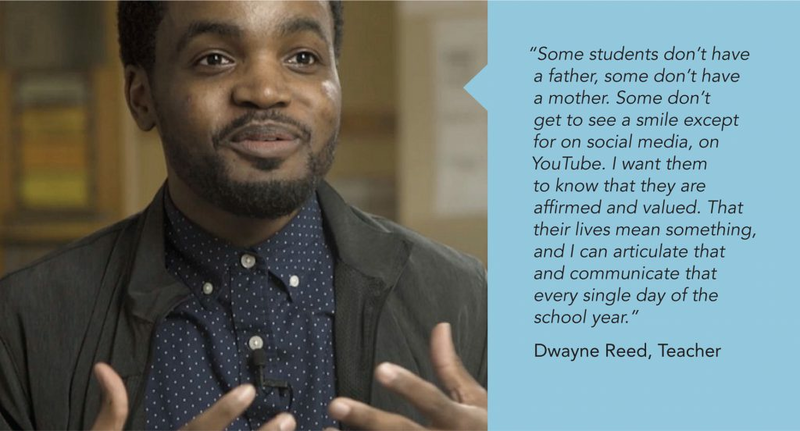 We’ve been connecting brands through data and marketing services to educators, youth, and parents for nearly 50 years. Reach targeted audiences through our database and digital communities SchoolData, WeAreTeachers, WeAreParents and School Leaders Now. MDR’s team includes top email marketing experts, social wizards, the brightest of data geeks, award-winning writers, and many former teachers. If you’re ready to get started building engagement with educators, schools, and families, contact us!